Enjoy the world's most beloved bubble shooting game! From the top developers Color deer who focus on puzzle casual games. Has developed popular games Bear Pop, Farm Day and Word Panda. 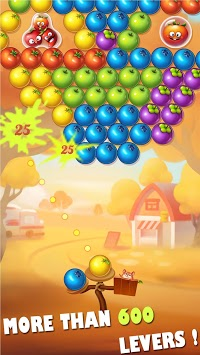 “Farm Pop” is a very fun and addictive bubble shooting game, you won’t stop playing! Rescue the lovely Animal by the delicious bubble! In this delicious and diverse bubble adventure, you will meet plenty of different stage modes, BOSS, and enemies; You can choose a different animal to help you, they have diverse skill. Remember the less number of shoot you make, the more scores you'll get. Why not download to try Train your brain in the classic puzzle match 3 bubble pop game ---Farm Pop. - stages are unique and full of fun and amazing challenges! 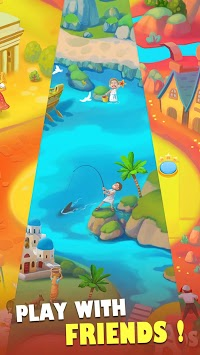 - Explore the beautiful world with Animal Partner! - Play everyday, Get more rewards! - Play it at anytime and anywhere! This game is social! 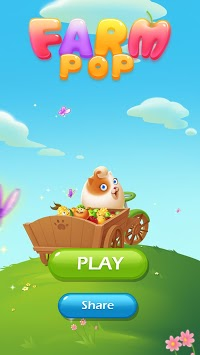 Connect to Facebook & play Farm Pop with friends! Enjoy this exciting bubble shooter puzzle game brought to you by Color Deer! Shooting bubbles has never been this fun! Find bugs and provide good suggests, and you will get a big gift. Have fun playing Farm Pop!